As a paper crafter, it should be no surprise that I love books! I used to be able to read tons of novels and biographies, but since Moose & the Bean came along, that time has largely been devoted to other pastimes, like pushing swings at the playground and doling out bowls of crackers and raisins. This stage of my life, I spend the most of my book time and money on the types of things that will enhance and grow my creative tendencies. 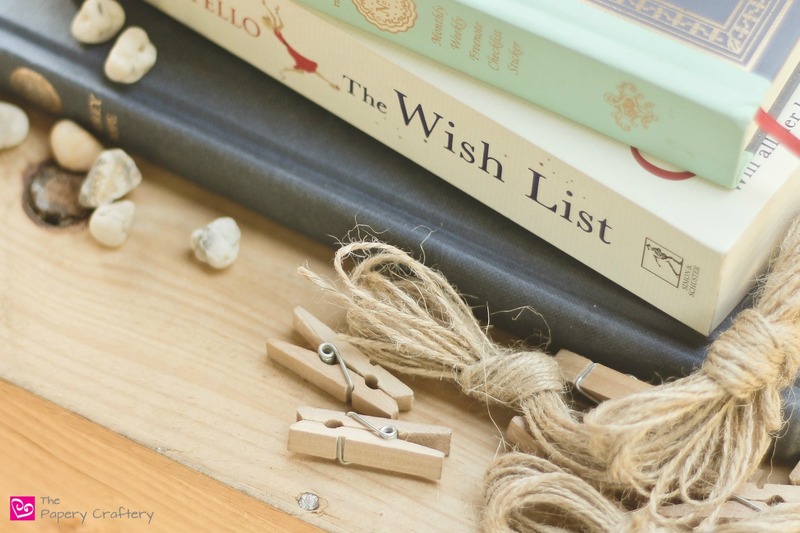 Today, I’m sharing a list of the books every crafter needs to own! It’s kind of a no-brainer that crafters would use sketchbooks, right? You need somewhere to draw your fabulous ideas! This Strathmore sketchbook is my all-time favorite. It’s one of the most widely available, and always well reviewed. I love the fact that the sheets are perforated for easy removal, too! It comes in a few sizes, but I’m a fan of the smaller, more portable books. charcoal, ink, even watercolor all in the same book! The beautiful, soft green cover gives this book a more professional look, too. To be honest, it took me a while to get into using notebooks and journals regularly. I was always to one with lists and notes on random slips of paper, followed by losing them all over the house, then getting super frustrated. I’ve come to realize that I need notebooks to keep all my lists and notes in one place. I have one for our home and daily life and one devoted just to this website. Plus, I also have a gratitude journal that I write in every evening, where I give thanks for something in my life, big or small. Paper Source has a stunning Floral Spiral Journal right now. I love the turquoise and pink flowers ( we have a huge, fabric wall hanging in our dining room with almost the same pattern! ), and spiral bound journals are a must for me. I just find them easier to write in. Plus, the edges of the pages in this book are tinted in 4 different colors, so you have 4 separate sections built right in!
. It’s cover truly is a blank canvas waiting for you to make it distinctly yours. Grab your markers, your pens and your washi tape so you can make this one completely unique! Here comes the really fun stuff! There are tons of books out there devoted to crafts. Whatever your brushing up on your favorite past time or you’re looking to expand into something new, there is a book for that. What could be better than a book about making books?!?! Bound Handmade Books by Erica Ekrem is filled with gorgeous photos and easy-to-follow diagrams, perfect for the aspiring bookbinder. She also shares the how-tos for DIY projects using traditional techniques with a vintage vibe. This is one of my favorites! Anyone who loves drawing and being creative, but thinks there is just not enough time in the day to fit it all in, needs this book. Art Before Breakfast by Danny Gregory is stuffed with little instructional nuggets of inspiration that will have you joining in mini creative exercises for a few minutes everyday! It’s just simple and fun and it really gets your pencil moving, which is the whole point. There are a couple versions, but I like the workbook, because there is space right there to make your sketches. Art Lab for Kids by Susan Schwake is the ideal book for the little crafters in your life (or those small hands that need to stay busy while you get your crafts finished!). The lessons are geared towards crafters in elementary school, and in addition to the introduction to technique and materials, Art Lab is all about fostering self-confidence through art. And what little crafter couldn’t use a some of that? I know, I know… you’ve been hearing all about adult coloring books for a few years now. But there must be a reason, right? It really is a relaxing way to zone out, while making some super-unique art. I’ve even framed a few funky animal coloring pages for the Bean’s bedroom. She loves them and says “hi” to her bunny and duck print every day! The Botanicals book from the Just Add Color Series by illustrator Lisa Congdon is incredibly inspiring to me. Her free-form flowers and leaves are bright and happy and make me want to recreate them in paper! is part treasure hunt, part coloring book. There is a list of objects towards the front of the book that are hidden in the intricatly detailed drawings. Becoming Me: A Work in Progress is a coloring book, journal, and art history lesson all wrapped into one colorful book! Written by Andrea Pippins (and You), Becoming Me is meant for teens and young adults who are just beginning to figure themselves out. It’s an amazing gift idea! TIP: When you’ve colored your heart out, check out the post 10 Easy Ways to Use Coloring Pages by Hello Little Home. It’s full of ideas for crafts made from crafts! This list of the books every crafter needs to own is just a smattering of the amazing crafty books out there. I hope you’re inspired to add to your crafty book collection. Is there any other books you find is a must have for a craft-lover? Share it in the comments below! That’s a great idea, Heather! I know when I finally have enough time to read novels again, I’ll forget all the books that I wanted to read! Great suggestions! I love having a fresh new sketchbook to work with! The art before breakfast one looks like fun, I will have to check it out. Yes! A brand new sketchbook is the best! I’m thankful Pinterest exists so I don’t have to keep a ton of craft-related books around the house, but I do love my notebooks and adult coloring books! That’s a good point, Cameron. Pinterest is definitely another go-to for crafty info! Great list! I just started journaling again and love it. I never thought to have a gratitude journal and writing in it every night makes so much sense. I will have to try this. And the Art Lab for Kids looks like an awesome book for my girls. I’m so glad you’ve found some ideas! When I started using the gratitude journal, I had to set an alarm on my phone so I didn’t forget, but now that I’m used to the practice, I really look forward to it!